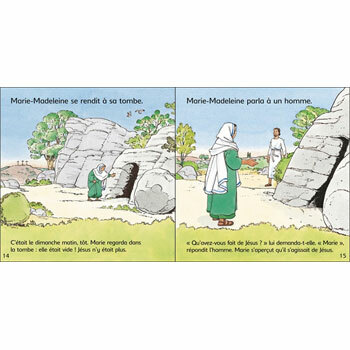 This French version of The Easter story is retold in very simple language. Developed with early-readers in mind, the dual-level text allows the parent or teacher to read one (more complicated) line and the child to read the more simple text on the same page. 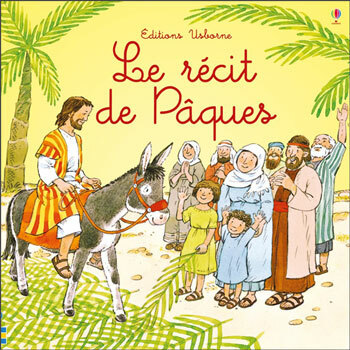 Le récit de Pâques is written entirely in French with no English translation or pronunciation guide as it is intended for native users. The language is fairly simple as it is aimed at young children.